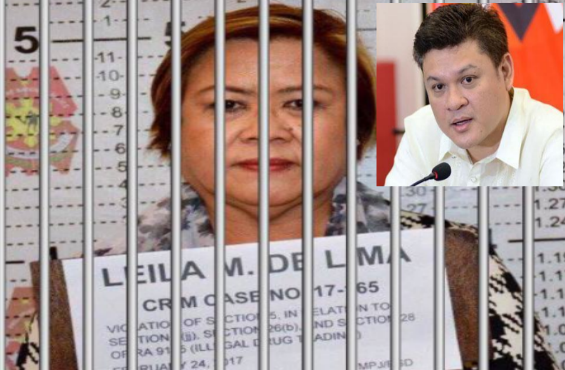 Davao City Vice Mayor Paolo Duterte hit back at detained Senator Leila De Lima after his father, President Rodrigo Duterte's war on drugs is merely paving the way for him to rise as the country's number one drug lord and smuggler king in the underworld. This was after Paolo's name has been dragged by customs broker Mark Taguba during the House committe probe into the 6.4 billion worth of shabu illegaly transported through the Bureau of Customs. "Kung "delectable" ang story at allegations against me, which are, by the way, based on rumors and entirely unfounded claims, ang story mo po ay luod. Kanang makasuka ko mag hunahuna. "Please, ayaw na tawon ko gamita. Do not use me to warm yourself up inside that cold room that is now your home. "Ikaw na talaga ang tunay na #IronWoman ng Pilipinas -- ang babaeng humihimas sa likod ng malamig na iron bars. Vice Mayor Duterte earlier denied the allegation that he is involved in customs anomalies.